For what it's worth, I was told pretty much the same thing a couple times by a particular staffer at my Target who I think was just tired of people calling in to ask about stock. Sure enough, we got 3-4 sets last week. Keep at it, I think NECA knows these are a hot item and are going to continue stocking them for a while yet. We'll see. I pretty much go there every day anyway for various things since I go right past it on the way home. It's just irritating to even get my hopes up 1% each time I go in, only to be continually disappointed. The last time I even told myself before I went in, "You're just buying cat litter. Yes, it's right next to the toy section, but you already know they won't be there. Don't get your hopes up even a little bit. Just get the cat litter and go." And sonuvabitch, I STILL had to mutter "god dammit" under my breath as I walked past even though I knew there was almost zero chance they'd be there. If not for my wife having to pay off some fines I would've just picked 'em up on eBay already and called the extra mark-up a "hassle fee". So that'll probably happen in May. It is what it is. Got mine as well as the Gamestop Movie TMNT and love them. VaughnMichael was awesome in helping me get these as there was no way other then the bays extreme prices. Always happy to help TMNT fans and get these out of the hands of rude scalpers like LatinKings. Also from my side big thanks as the package arrived today! Absolutely no idea how you do that but that's an 8 days straight shipping from the US to Central Europe!! Same here. I wasn't too upset about these since I got the SDCC set when NECA sold them. I was hoping to add to my foot army and replace Donnies broken bow, but oh well. Free'd up money for other figures. Main reason I was sad to not see these come in is I want B & R when they come out. Would have been nice to get them in store, but that doesn't look like it will happen. Well, that's good to know! I know I'm literally making my first post right now, but Lord knows I'll need all the help I can get when the villain packs come out this Fall! My local Targets have gotten NADA. Oh, and hello, all! I'm Rick! Long time lurker, first time poster! Nice catch. Do they all use the same background? So it looks like Neca have permission to sell their turtle figures across Europe from the picture Randy posted on Twitter...Sweeeeet!! It took a minute for me to realize that is a turtle shell. I must be having an off day. Yep, must explain his absence from social media. Man is relentless to get these turtles out there. Congrats to all you collectors outside the US! 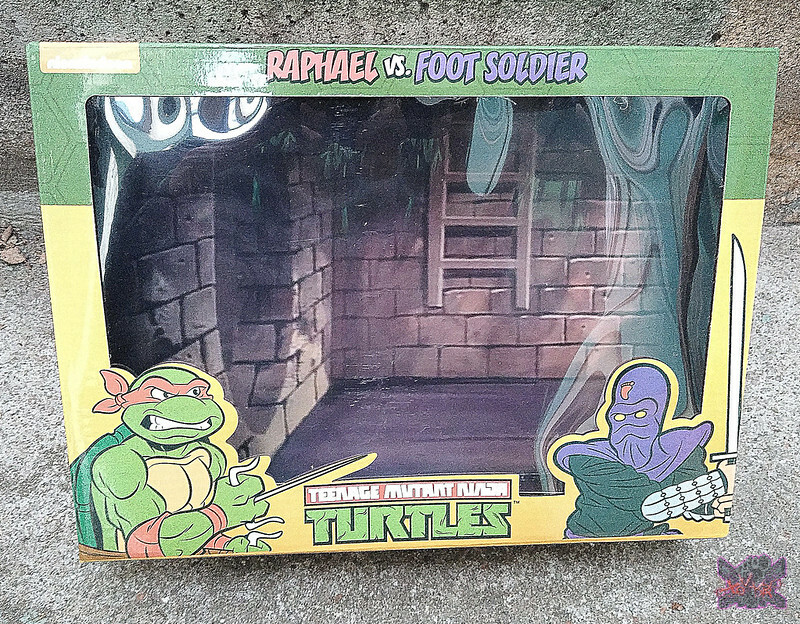 I haven’t seen these except for one Raph/Foot and one Mickey/Foot two pack. I bought them in fear of never seeing them again. The Neca section of my local targets are a mess and stock is spotty at best. You have seen more than me. NECA TMNT in the UK? Finally found the full set here in Pittsburgh. Had a few issues, Michaelangelo's bandana wouldnt spin, one Foot soldier's arm was locked at both elbow joints, and the other Foot soldier's right forearm was attached upside-down. With some hot/cold action and a little toy surgery, I was able to fix all but Mike's bandanna. Whats the best way to find more backgrounds like this without any characters pictured? 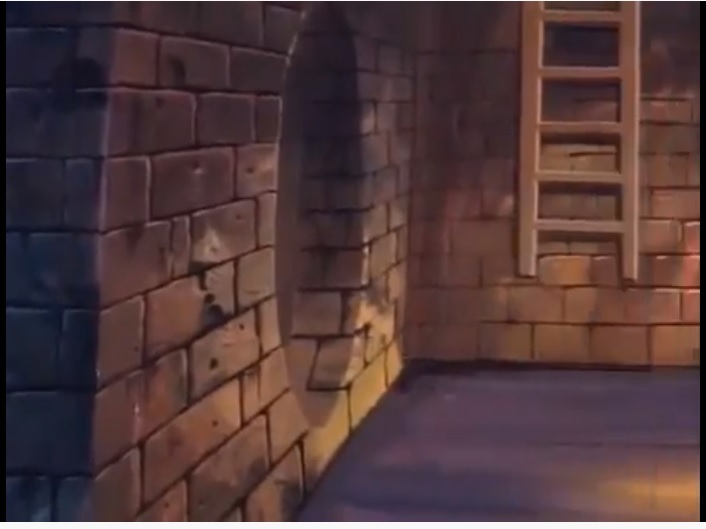 Im guessing the 'Original Toon Screencaps' thread? Wasn't sure if someone had collect/cleaned up that specifically. From the sound of it there might be a world wide release with the Turtles 2 pack. Don't know what happened but there are stores in Hong Kong taking pre-orders. Theres a Canadian place taking pre orders as well. I think they come from animation cells. 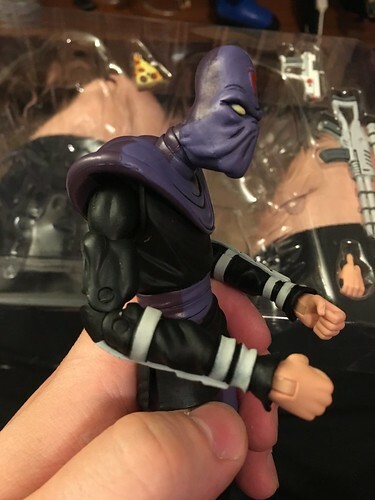 Sometimes you'll find characters mismatched with different backgrounds on eBay. They must have been shared here at some point.